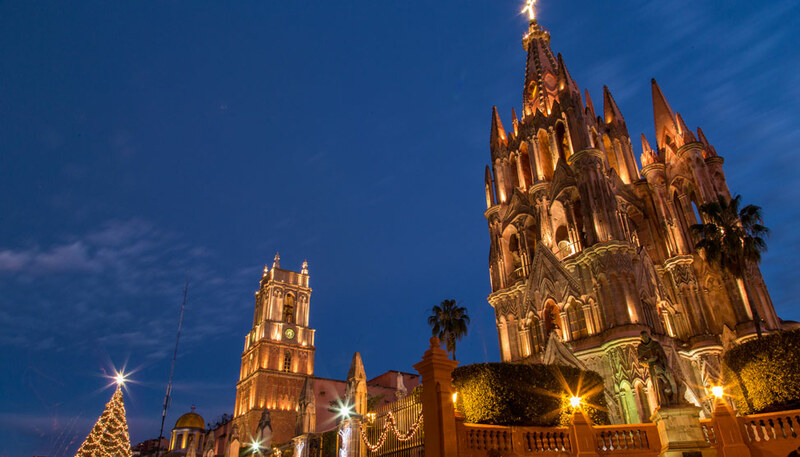 Unless you are talking about tacos in Mexico, it is very seldom that we choose destinations based on food. I, on one hand, tend to view food mostly as sustenance. I could regularly eat toast with peanut butter for dinner and be quite satisfied. Pete, on the other hand, has a deeper appreciation. 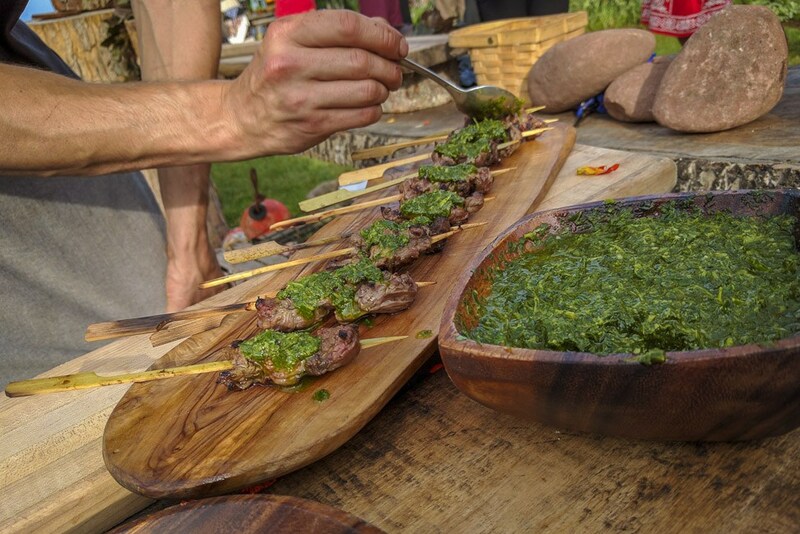 He adores most everything, attempts a greater variety when he cooks, and more fully respects the art of cuisine.So as much as this trip was about connecting with a part of our country we know little of – for Pete it was also largely about the food. He’s a seafood lover who does not get to indulge often (given that a mere whiff of it can cause me to flee in the opposite direction). In Prince Edward Island, a reputed hotspot for exquisite cuisine featuring everything from the sea, he was in a consistent state of salivation. 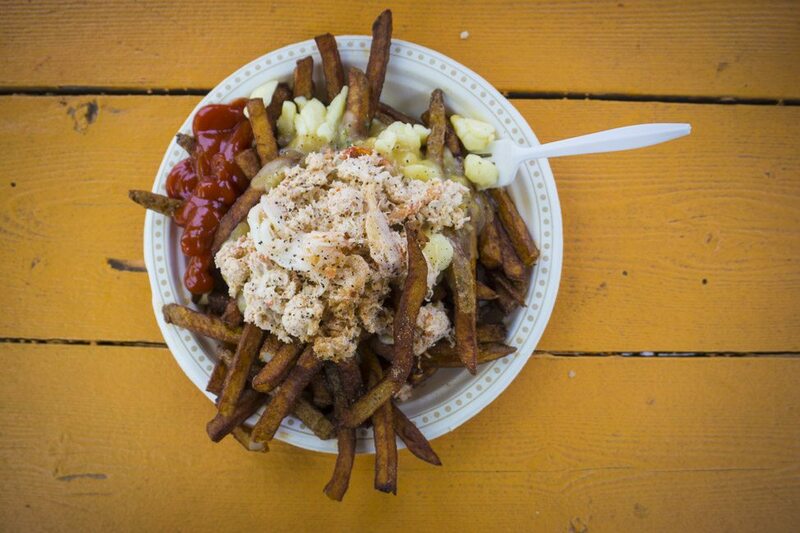 When we weren’t exploring side-roads in search of the best beaches in P.E.I., we were scouring online reviews and pestering locals for their tips on the finest places to eat. We were overwhelmingly impressed and eager to share our finds with you. And we must first start by sharing that place Pete returned to over and over. 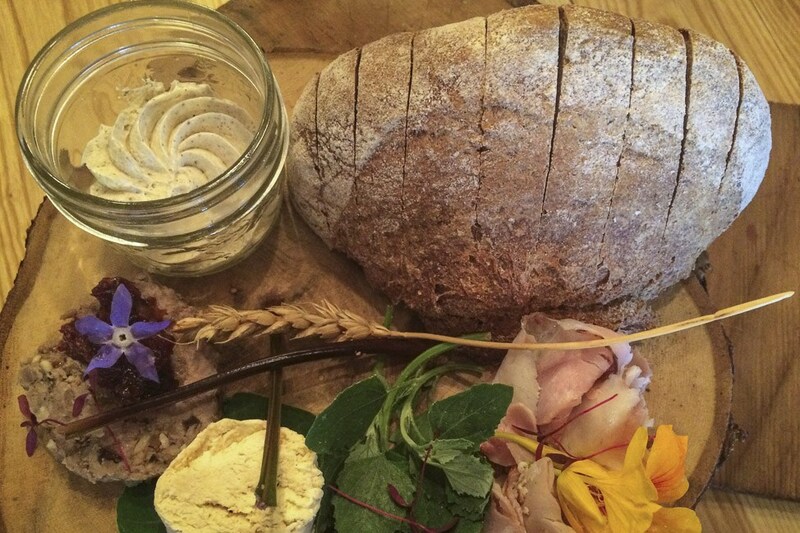 We scoured online reviews and pestered locals for their tips on the finest restaurants in PEI. Admittedly, Pete first discovered Dave’s when in Saint John, New Brunswick, but because the small chain was actually started in Charlottetown, all credit must be given here. In his quest to find the best lobster roll in the Maritimes (he really ate SO many), Dave’s handily won out over the rest. As he says: the minimal yet flavourful dressing (so many other places use far too much) allowed for the true taste of the lobster to shine through. This one, I added to the list. 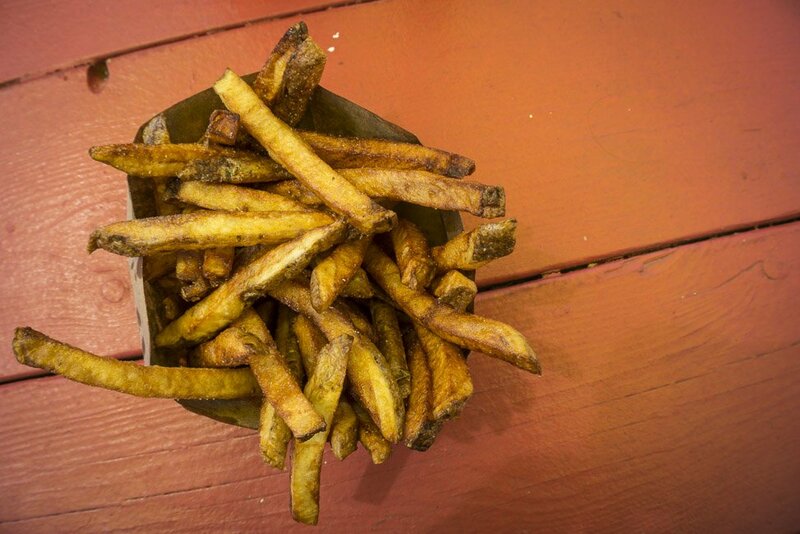 Sitting in a bitty bright red shack near the Charlottetown harbour you’ll find the best french fry you may ever eat, along with the eccentric owner whose quest is to make the best in the world. There is no doubt that the quality of ingredients is there – the humble potato is a big part of P.E.I.’s economy, producing 30% of Canada’s intake alone. Taking one of the best exports of the province and perfecting its method of cooking fresh in front of you makes this as much a cultural experience as it does a culinary one. 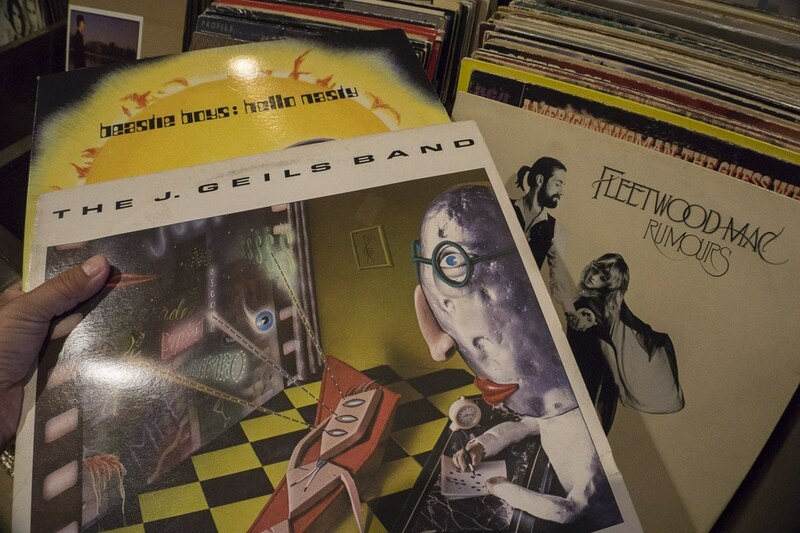 So, part of the appeal of this place comes from its musical offering – order a meal but also choose from a selection of vinyl to hear some vintage tunes with dinner. 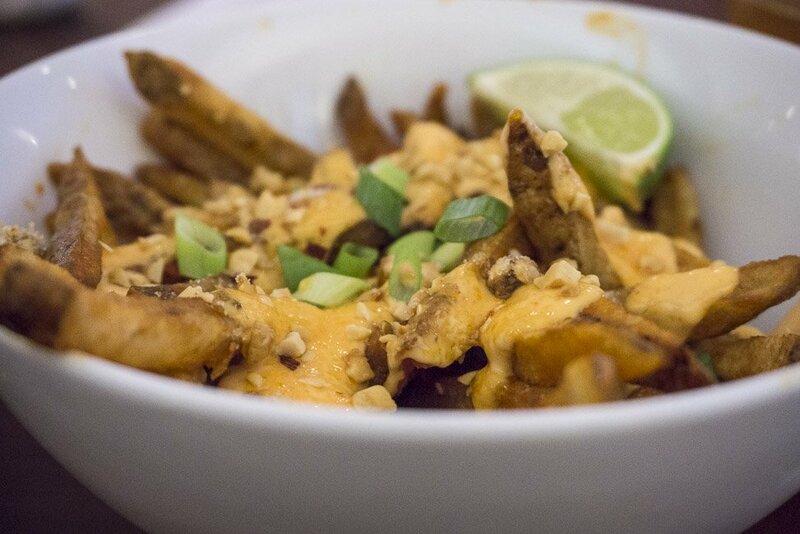 Add in some truly whimsical fusion food (Pad Thai poutine! ), an impressive selection of craft beers, and a little table dancing (so we’re told, we never stayed long enough to find out), and this place isn’t just a restaurant, it could be a regular hangout. We ordered up some bahn mi tacos with a side of Fleetwood Mac. 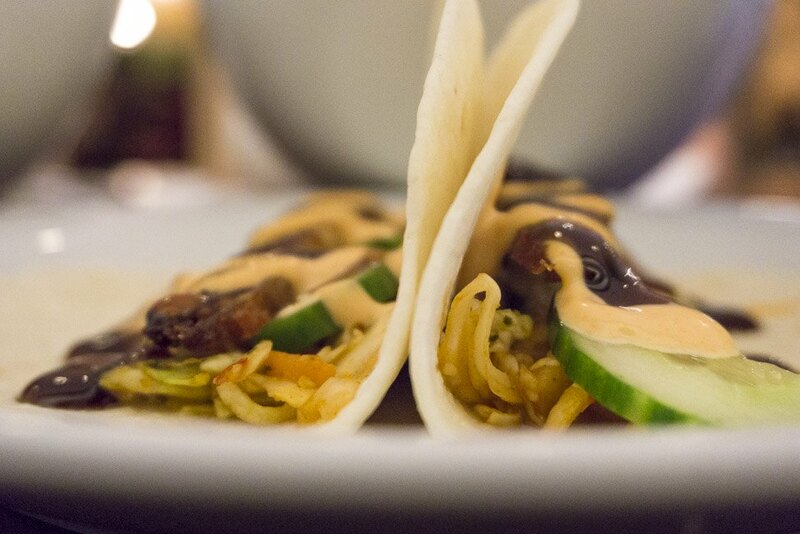 The menu changes frequently; we wish we had the luxury of a longer stretch of time in order to try it again. We honestly had no idea what we were getting ourselves into when an evening at the Inn at Bay Fortune was presented to us. Yes, we had heard of Chef Michael Smith, but never expected that the opportunity to feast at his Inn was so attainable. 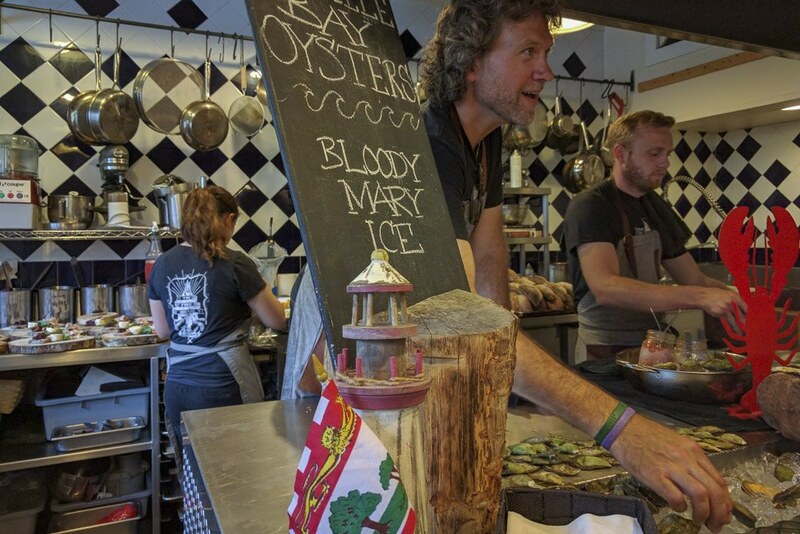 From dining at the table of one of Canada’s best chefs to a humble fish shack, Rick’s was one of the first mentioned to us, situated near St. Peter’s Bay and Greenwich Prince Edward Island National Park. Yes, I relied on my ol’ standby chicken fingers at this stop, while Pete tucked into two pieces of haddock and pile of fries, served pseudo-old-timey style on staged newspaper. He found his first piece of fish slightly chewy but the second one worthy of every piece of praise it earns. 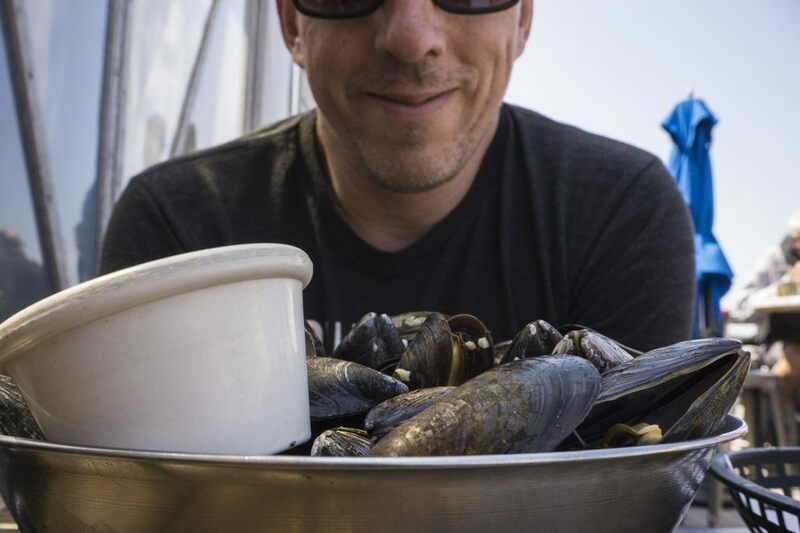 I have a few photos just like this one, with Pete’s smiling face above a bowl of fresh mussels. While mussels were a frequent and easy appetizer for him (they’re light, just like eating savoury popcorn, he says), this serving in a cafe bearing their name was most memorable. Maybe it was the fact that he sat down to them after a two hour kayak – maybe that is what made them so delectable – but he insists that they were the freshest he had ever eaten. My pasta dish was also impressive, and as always I was grateful for the varied menu. Our last stop in P.E.I., before catching the ferry to Nova Scotia, was at the renowned Point Prim Chowder House. We almost ran out of time to visit but were so glad we didn’t. Not only did it give us the best restaurant view in all of the province, but we were both equally elated in our seafood/non-seafood wares. Pete enjoyed a lobster roll (no surprise), while I devoured a pulled pork grilled cheese and a golden beet salad. But really, THIS view. The best part. We spent one week of our time in P.E.I. right in the heart of Charlottetown at The Great George. Yes, we had a fabulous and comfortable apartment for the week and were right in the middle of the action, but there were two specific things that made this stay most memorable. For one, fresh chocolate chip cookies EVERY DAY at reception. For two, there always seemed to be people hanging around in period clothing! At times it felt like we had stepped back into the glory days of when the union of Canada was discussed (Charlottetown is considered the birthplace of Canadian confederation). In fact, tours were also available by these costumed folks every day of just the historic hotel grounds. The only slight issue we had with our stay is that there was rarely enough food at breakfast (we seemed to wait every day for fresh stuff to emerge from the kitchen), but overall we could not have asked for a more fitting base from which to enjoy the city and surrounding area.Want to get a good taste of the culinary scene in Charlottetown? This historic/foodie walking tour around the core was on our agenda and well worth the time. 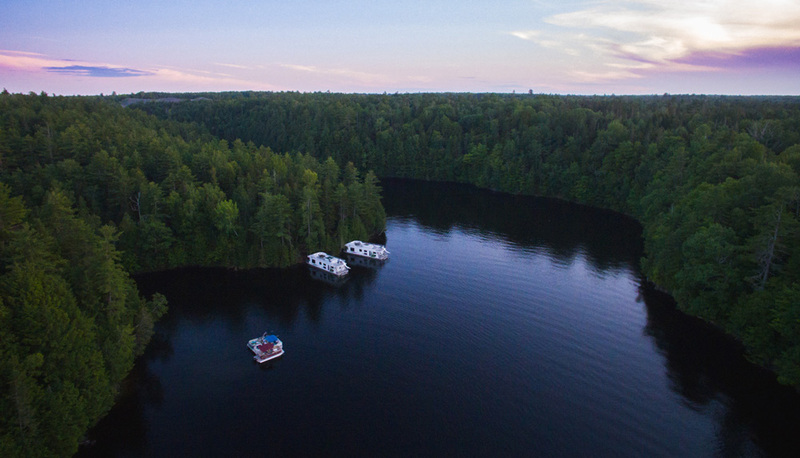 Some of the spots noted above were included, and we learned everything from the lifecycle of a lobster to which walking stones Canada’s Founding Fathers strolled along. This post was produced by us, brought to you by Tourism P.E.I. Oh my goodness! Larry and I spent 8 days on PEI two years ago and loved it! You make me want to go back! We were on the beach at North Rustico. We were so tired from traveling that we just sat and watched the sea for days on end! But we also rode our bikes on some of the many trails and on the beach and we bought and cooked fresh seafood from a nearby market. We went to the Anne of Green Gables house and to the play in Charlottetown. Loved both! I ate as many lobster rolls as I could too! We want to go back, stay in Charlottetown, and have more energy!!! It’s a wonderful place! Thanks for sharing! So glad you enjoyed it Kaye! We only opened this June, we would love to have you come visit our quaint little tearoom nestled in the countryside on your next visit !! 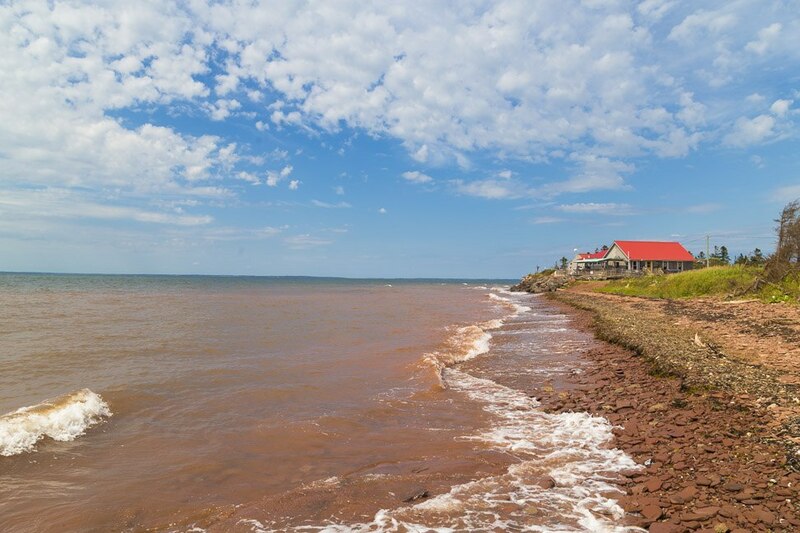 For such a small place, PEI definitely has some of our favourite spots to eat. Yes,seafood is an obvious choice but the Island has many other great offerings. It’s quite remarkable how many great spots there are to eat in such a small city like Charlottetown and there are always new places popping up too! You are absolutely right – we were blown away with how many fantastic options there were in such a small area. Oh yes, we did stop there! It was really tasty too. 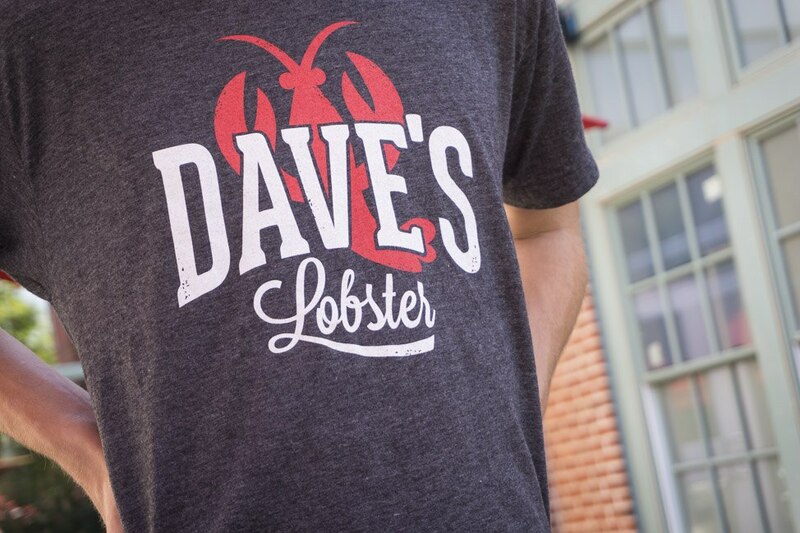 I’m Dave, the owner of Dave’s Lobster. Thanks so much for nice words (and the beautiful photos)! As you know by being there, we’re pretty focused on one thing, lobster rolls, so it’s pretty important to us that we get it right. It’s always nice to hear when someone really likes them. BTW, I can’t tell for certain but I think the employee in the photo is my son, Alex (big kid, 6’5″). Let me know when you’re back in the Maritimes. Next lobster rolls are on me! 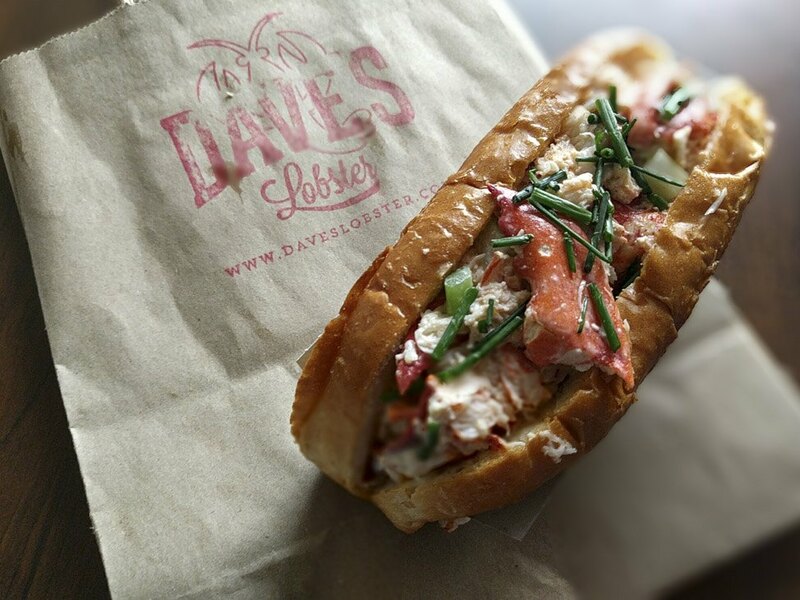 Dave – all thanks to you for the amazing lobster rolls! And, actually, just after I snapped the photo of your employee, you walked out and we shook your hand. I doubt you will remember us – we were on our food tour with Experience PEI – but Pete did also return that evening for more. Thank you so much for sharing our post and your kind words! 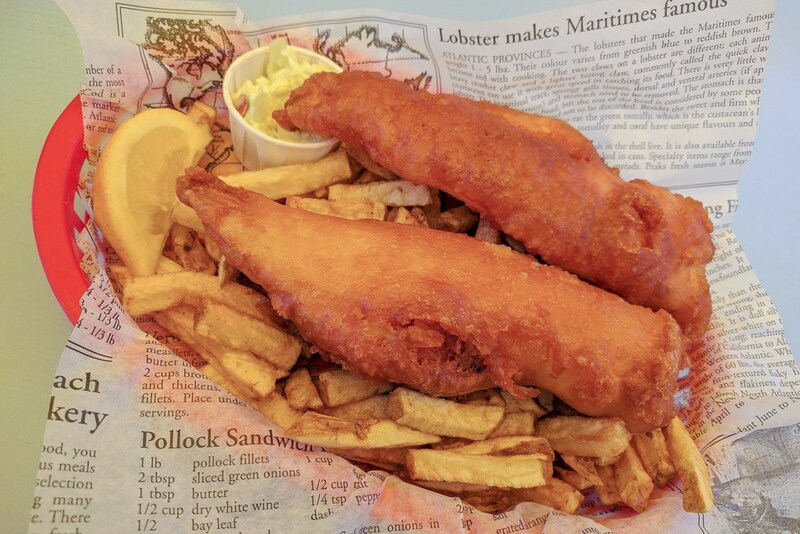 You definitely forgot the #1 place to eat which is Richards Fish & Chips in Covehead!! We have even turned some Maritimers onto Dave’s who hadn’t been there before — so I trust that you would really like them as well! 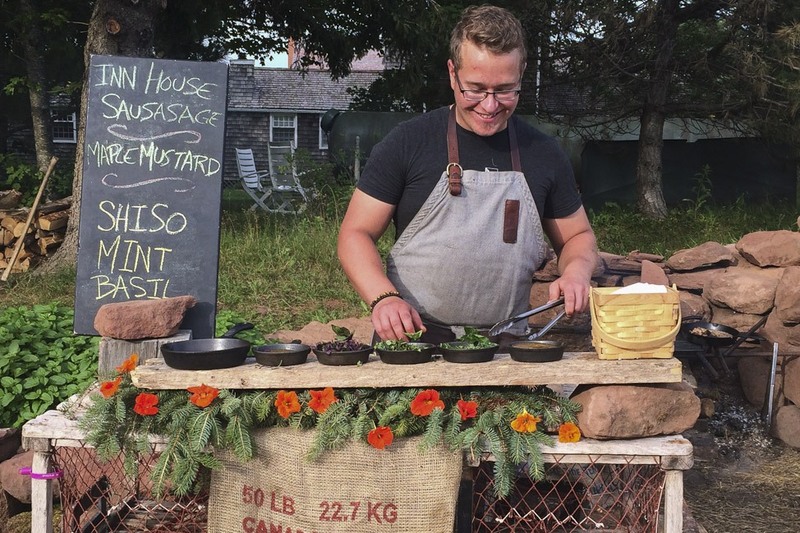 It seems like your food tour of the island only covered Charlottetown and east. You missed several gems like Scapes in borden and fable in bedeque. Open eats in summerside is another great spot. Island stone pub in kensington is one of my favorite spots to frequent. The landing in tyne valley. The places you spoke of are all great point prim is likely the best restaurant on pei but you missed a lot and may need a second trip. Just yesterday I found out a new great place for fresh seafood here in Barcelona (finally! 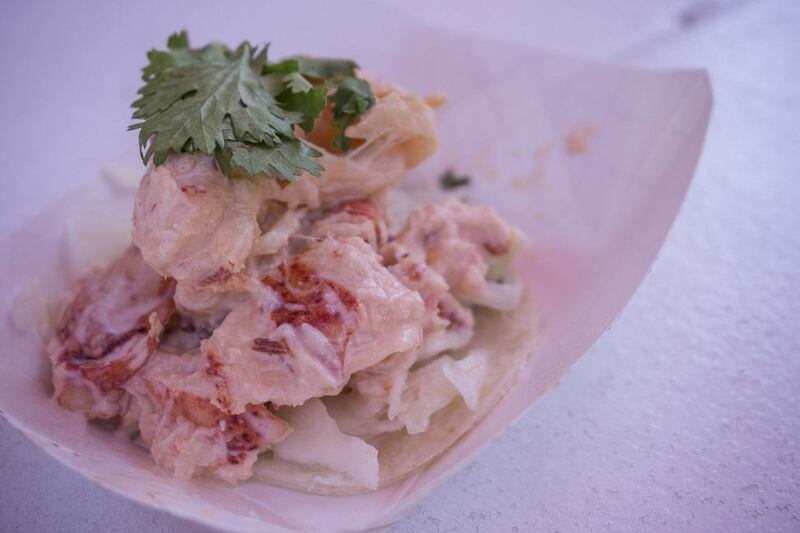 ), but it doesn’t look quite that lobster roll – made me hungry! I’m going to be perfectly honest with you and say, if I dined at Chef Michael’s restaurant and saw him I would probably cry! I have a few of his cook books and grew up watching his show Chef at Home. I love him ! As a tourism operator, glad you enjoyed our island so much! Yes, I agree the food is the best! I was in Charlottetown recently on business and had lunch at Hopyard and absolutely loved the food there. It’s a great spot to hang out and enjoy great food and great atmosphere. 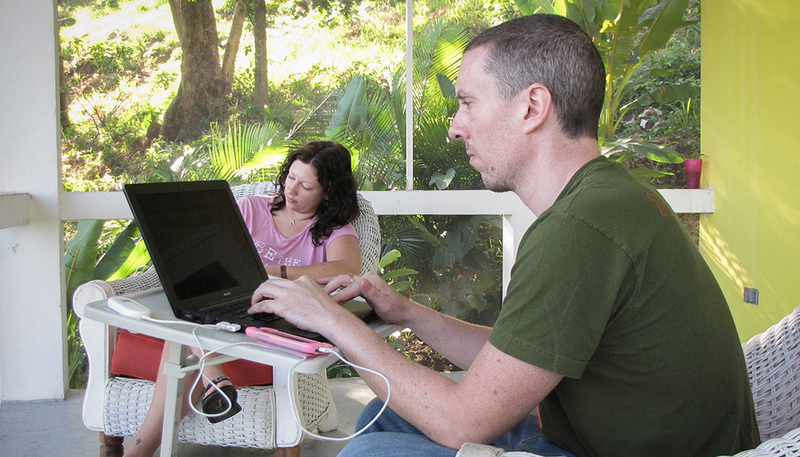 We are spending a week on the Island in August and can’t wait to try some of the places you mention. So sorry you didn’t get a chance to drop into #5 Cafe in the former Presbyterian Church in Murray Harbour. It is amazing!